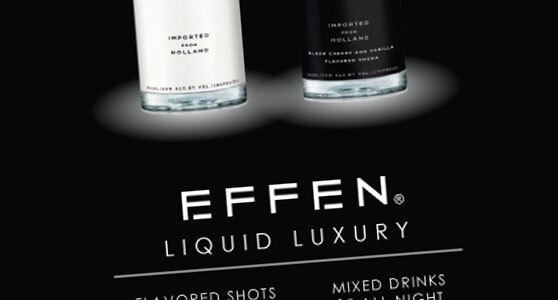 Our spin on EFFEN® Vodka, the sleek & stylish high-end Dutch vodka. 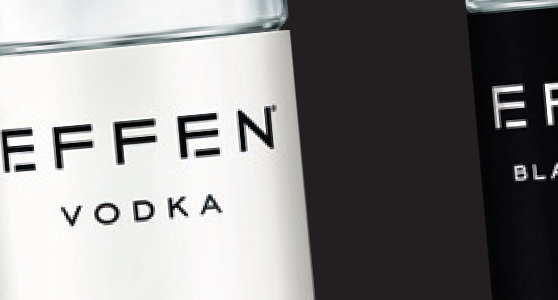 EFFEN® Vodka is all about being smooth. Their unique style focuses on minimalist design accented by sleek lines and bold overtones. 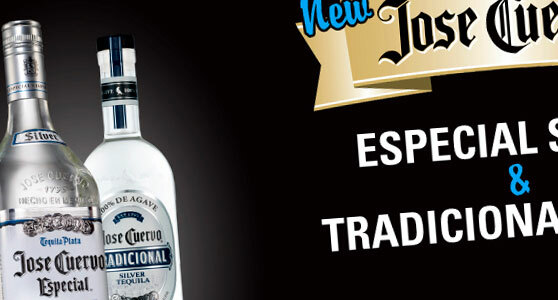 Use: These designs were created for use inside bars and restaurants throughout the Houston area. 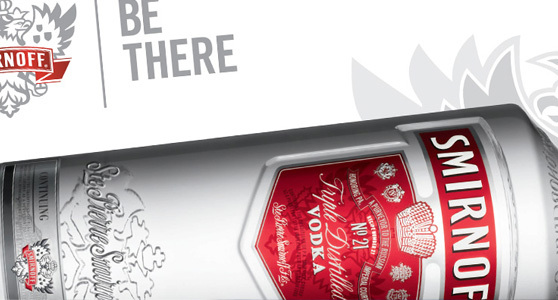 Design: Integration of EFFEN's existing logo, colors, and fonts into print designs that promote mixed drinks featuring this Dutch vodka, as well as emphasizing the brand in general. 1. Table Tents are small card-like advertisements placed on restaurant and bar table tops, usually fixed within lucite (plastic) stands or leatherbound A-frames. This minimalist design focuses on the EFFEN product, highlighting their two most common flavours. 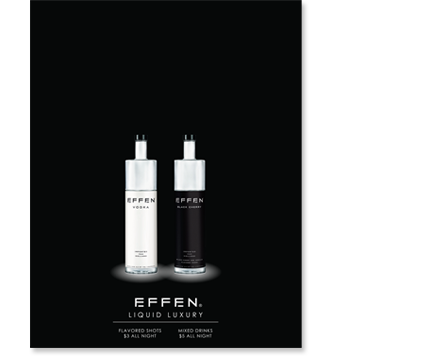 The brand itself is brought to the forefront by incorporating the EFFEN logo alongside promotional drink specials. 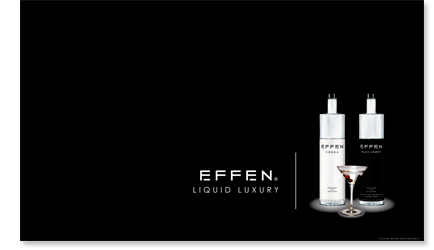 We expanded on EFFEN's existing branding strategy by following their color scheme and font choices, as well as preserving their overall sleek style. Typical poster size: 22" by 28"
Keeping with the minimalist strategy, these banners contain just three design elements: the EFFEN logo and tagline, product placement, and a simple dividing line. 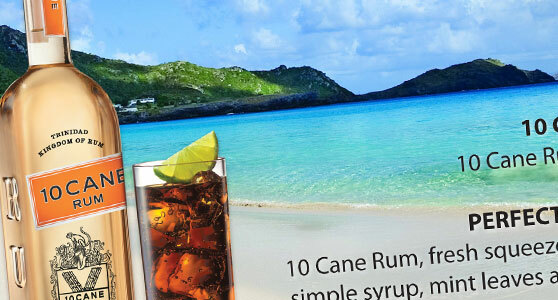 The result is an eye-catching design that is an extension of the client's own marketing. 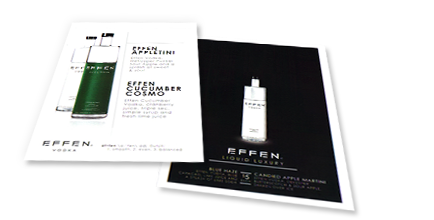 Further expansion of the EFFEN brand—because of table tents' natural use, we placed more emphasis on text content that advertises new drink specials. Sizes: 4" by 6" / 4.25" by 6.5"